Julio Emilio Quilietti born December seventeenth 1892 was the first born of Emilio Quilietti and his new wife Valentina Bratesani. He was born at 11.20 a.m. in that cold December morning at 4 Cranston Street, just off Edinburgh’s most famous street, the High Street, or Royal Mile as it is sometimes known. 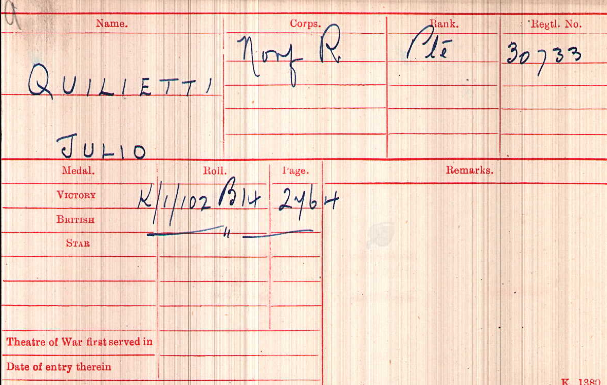 His name was mis-spelt on that birth certificate as the authentic spelling of the name is Giulio, and throughout his life he used both spellings of his name. His father Emilio was a Restaurant Keeper at that time only four years after arriving in Scotland. Julio, after the early deaths of his parents, went on into the Restaurant business himself with shops in the Canongate and also Forth Street in the City. His Canongate shop was part of a newspaper article many years later where a Mr. McIntosh recalls life in the City at that time. 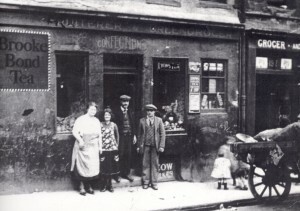 “Edinburgh’s first fish and chip shop stood at the corner of what is called Sugar Hoose Pend and the owner was a Mr. Qualletta who would provide his customers with fish and chips, a tin fork and knife, salt and pepper and all for one and half pennies. This was the first of the shops to provide the customers with the utensils, salt and pepper, but his father Emilio had claim to the first of the fish and shops in the City. 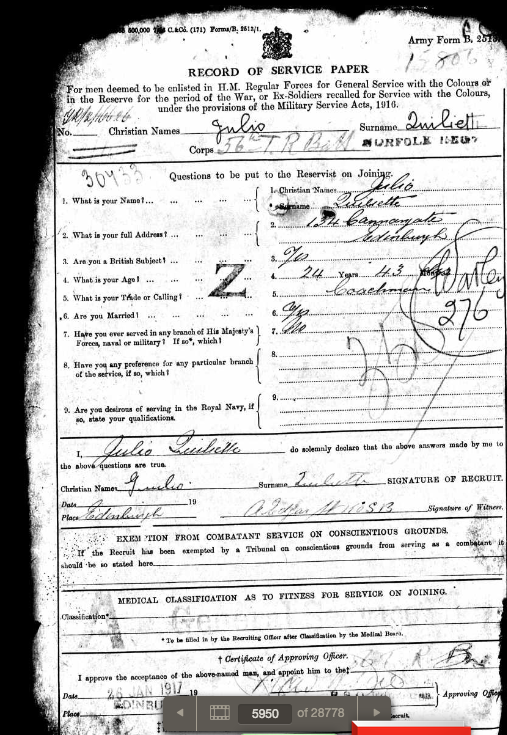 He also served in the Army, in the First Batallion Norfolk Regiment and served in France. Julio Emilio Quilietti showing his stepmother as L Brattesani. Love the Girth fully expanded as 33.5 inches. 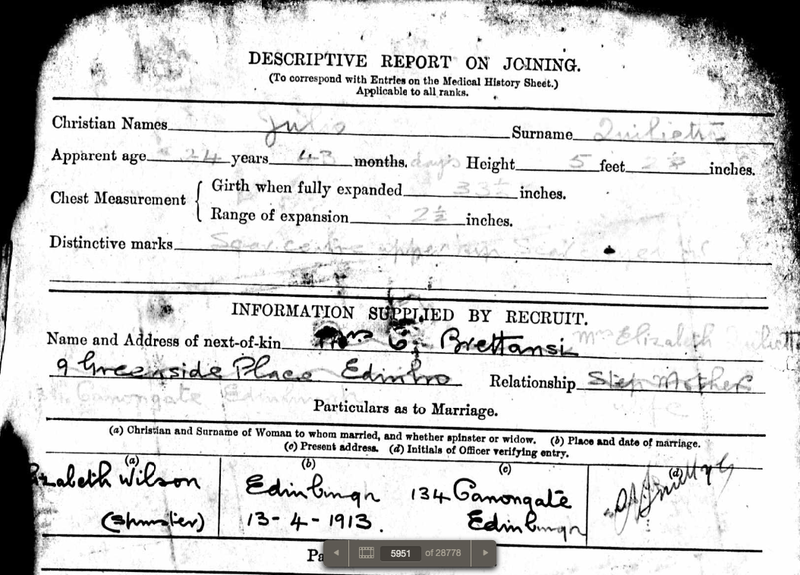 He married on the Thirtieth day of April in the year 1913 in St. Mary’s Cathedral, Broughton Street, Edinburgh. His wife was Elizabeth Wilson. Their address at this time was 9 Greenside Place, which was the flat where his mother moved into in 1899 after the death of Emilio. The couple were blessed with many children. 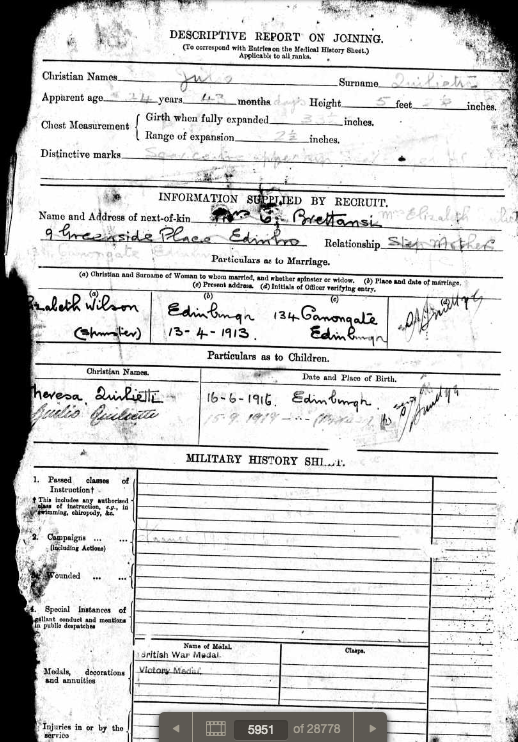 Sante Brattesani Quilietti born on April 19th 1914 was the first of their children, born one year after their marriage at Hamilton Street, Leith. He died one and a half years later of Measles and Broncho Pheumonia. This death had a devastating effect on Julio who never really recovered from the loss of his first child. 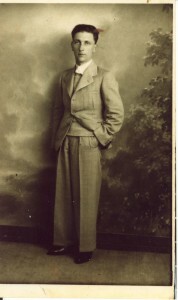 Sante was named after his step father Sante Brattesani. Their other children were Teresa, Lula, Robert Emilio, Elizabeth, Valentina and Giulio [Sonny]. This colourful family have provided us with many descendants in Scotland, Holland and Canada. His careers varied throughout his lifetime from Fish Restraunteur to Fruit Merchant and Stableman. His years in the army left him a troubled soul and led to his health deteriorating throughout the 1930s. Julio died on 31st August 1936 in Bangor Villiage Hospital, Edinburgh. He was only 43 years old. He is buried in Easter Road Cemetery, Edinburgh. 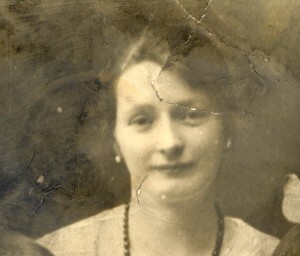 Elizabeth remarried in the year 1940 to Thomas Vallance. The marriage was brief as she died the following year in the Royal Infirmary, Edinburgh. Elizabeth is buried with her husband Julio in Easter Road Cemetery, Edinburgh. Their memories live on through the memories of their descendants.